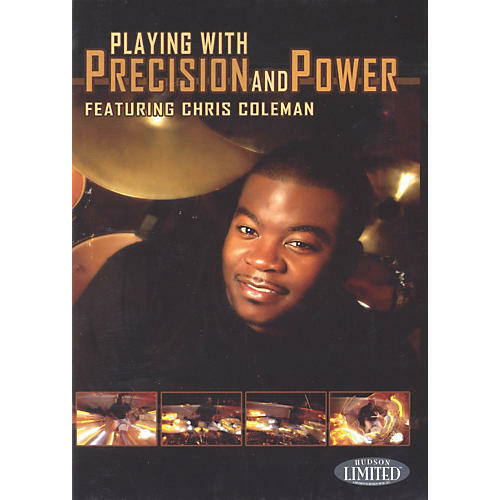 This 3rd volume of Dynamic Drumming features Chris Coleman's A-B-C practicing method in addition to numerous, skillful exercises. A bass and drum segment demonstrating how to lock with a bass player or keep it in the pocket. Chris is an honors graduate from the esteemed Drummer's Collective in New York City. After graduation, Chris returned to his hometown of Saginaw, Michigan to start full-time ministry and the CRC Drum and Bass Institute, as well as spending time in Cleveland on the instructional staff at Christian Music Academy. In 2001, Chris was honored to win 1st place in the National Drum Competition sponsored by Guitar Center, which hosted 30,000 drummers. In addition to his teaching, Chris keeps a busy schedule touring. He has toured with Pastor Creflo A. Dollar Ministries throughout the world since June 2002, and has traveled to over 40 cities in 3 countries with praise and worship band Israel and New Breed, since September 2003.